Good things are happening for Better Things. FX just announced they’ve renewed the TV show for a fourth season. The comedy series revolves around Sam Fox (Pamela Adlon), a working actor in Los Angeles trying to raise her three children. The cast also includes Mikey Madison, Hannah Alligood, Olivia Edward, Celia Imrie, Rebecca Metz, and Alysia Reiner. It’s a little surprising that FX has decided to renew Better Things. The show’s ratings weren’t high to begin with and have been slowly declining ever since. So far, season three is averaging a .13 rating in the 18-49 demo an only 363,000 viewers. However, the network seems to have faith in the critically acclaimed series. FX announced season four will debut in 2020. LOS ANGELES, March 26, 2019 – Better Things, the acclaimed and award-winning comedy series directed by, produced by and starring Pamela Adlon, has been renewed for a fourth season on FX, it was announced today by John Landgraf, Chairman of FX Networks and FX Productions. The fourth season will air on FX in 2020. Adlon serves as writer, executive producer, showrunner and directed all 12 episodes of the third season. Better Things is produced by FX Productions. Better Things ranks among the most critically acclaimed series on TV, with the third season scoring a perfect 100% on Rotten Tomatoes and a 94 on Metacritic. 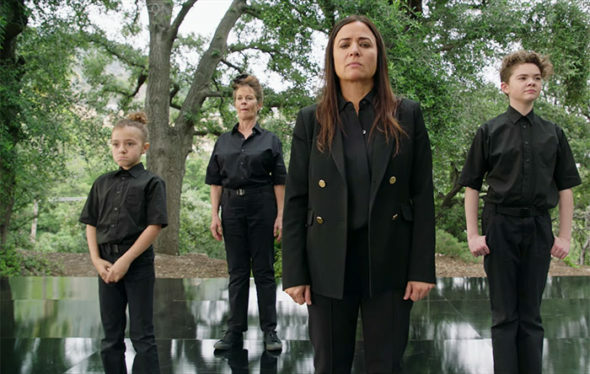 Better Things is the story of Sam Fox (Pamela Adlon), a single mother and working actor with no filter, raising her three daughters, Max (Mikey Madison), Frankie (Hannah Alligood) and Duke (Olivia Edward) in Los Angeles. She also looks after her mother, Phil (Celia Imrie), an English expat with questionable faculties who lives across the street. Whether she’s struggling to keep her daughters close or trying to push one of them out of the nest, Sam approaches every challenge with fierce love, raw honesty and humor. At the end of the day, Sam’s just trying to earn a living, navigate her daughters’ changing lives, survive her family, have fun with a friend or two, and also – just maybe – squeeze in some private time. In its first season, Better Things was one of seven entertainment programs to be honored with a Peabody Award. Additionally, in the first and second seasons, Pamela Adlon was nominated for an Emmy(R) Award for Outstanding Lead Actress in a Comedy Series. She was also nominated for a Golden Globe(R) Award for Best Performance by an Actress in a Television Series – Musical or Comedy in season two. What do you think? Have you seen Better Things? Will you watch season four? More about: Better Things, Better Things: canceled or renewed?, FX TV shows: canceled or renewed?